Orchestrate IT security with your data at its core. Netwrix Auditor empowers you to identify and classify sensitive information; reduce your exposure to risk and detect threats in time to avoid data breaches; and achieve and prove compliance. What shall we start with? Explore Data Security Done Right. Do you like to see how things work with your own eyes instead of just reading about them? We get it. Join us for this quick, 6-minute demo to learn how organizations just like yours use Netwrix Auditor on a daily basis to ensure the security of their sensitive data and pass compliance audits with less effort and expense. Ensure your cybersecurity efforts are laser-focused on truly important data, instead of false positives that do not require protection. 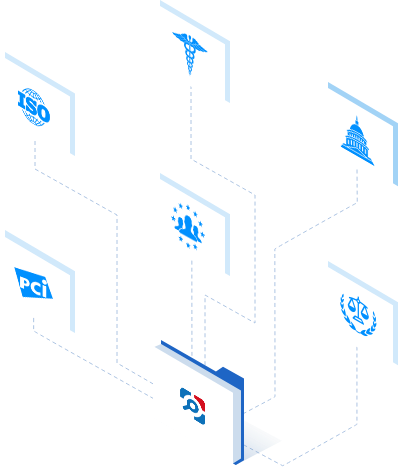 Our unified platform identifies and classifies your sensitive, regulated or mission-critical information consistently and accurately — including both structured and unstructured data, whether it’s on premises and in the cloud. Do you know if the sensitive data you store is overexposed? Who can access it? What activity is going on around it? Netwrix Auditor helps you answer these key questions and ensure that risk-appropriate security controls are implemented around your most critical data. Plus, the platform enables you to detect abnormal activity early and respond before a threat turns into a breach. Reduce the exposure of sensitive content by tightening permissions and mitigating data and infrastructure security risks. Detect and prioritize incidents better with a single view of all abnormal behavior and the associated risk scores. Ensure timely response to threats by providing incident support and enabling faster, more accurate investigations. Assess the effectiveness of the data security controls across your entire infrastructure so you can remediate any flaws before auditors come to call. Use the hard evidence provided by Netwrix Auditor to demonstrate to auditors that your controls adhere to their regulations and answer any ad-hoc questions. Do you need visibility into other IT systems or applications? Do you want to integrate Netwrix Auditor into your SecOps process? Visit the Add-on Store for free add-ons, or use our RESTful API to create your own integrations. If you are interested in content services for your organization, follow this link.